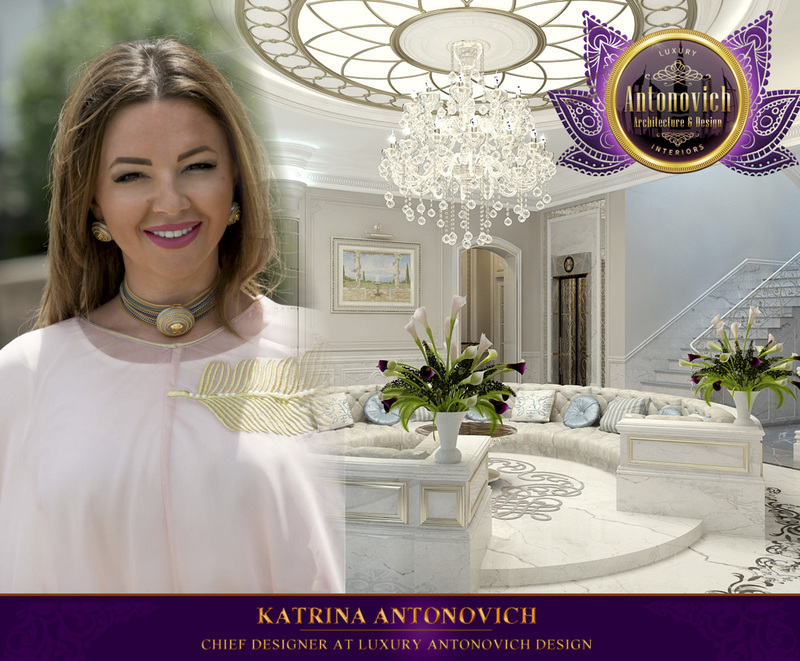 Beauty interiors from Katrina Antonovich is based on a keen understanding of fashion trends, the potential of new technologies and brilliant author's ideas. 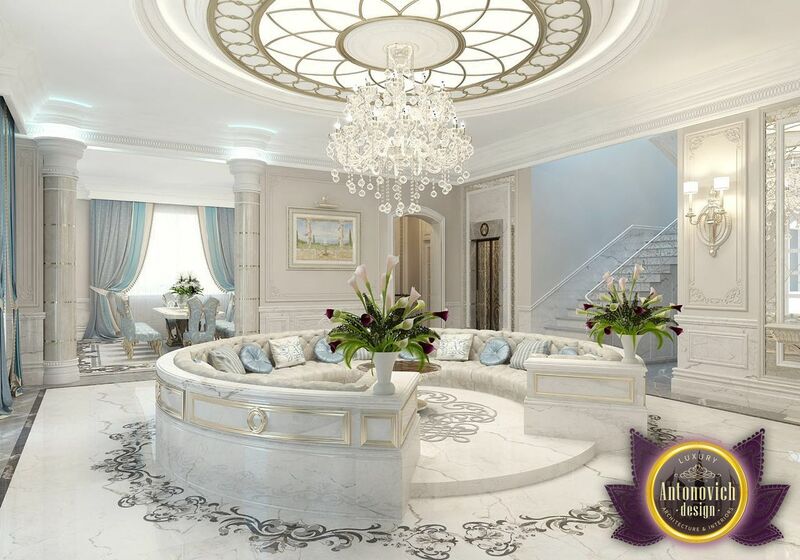 In this project, the solemn mood of luxury and comfort begins with spacious hall. The main decoration was a round sofa for guests. Sofa is the basis of white marble with soft covers. 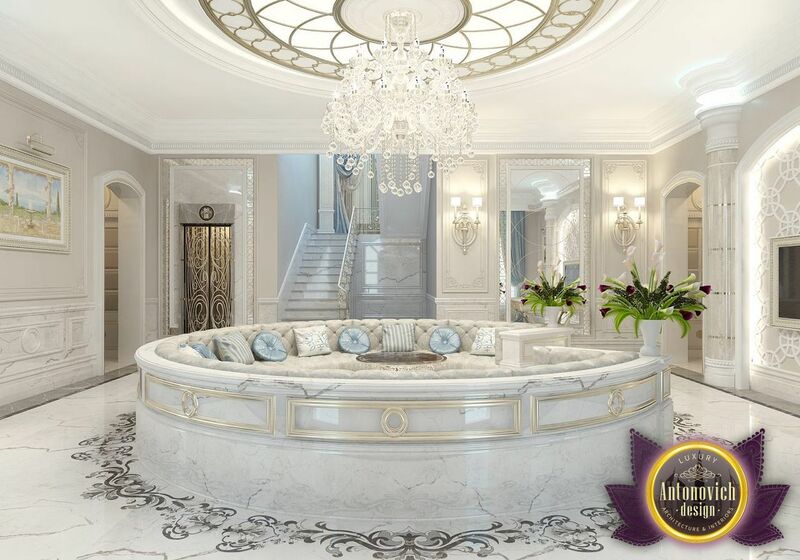 Another highlight of the interior was the marble floor with carved patterns. 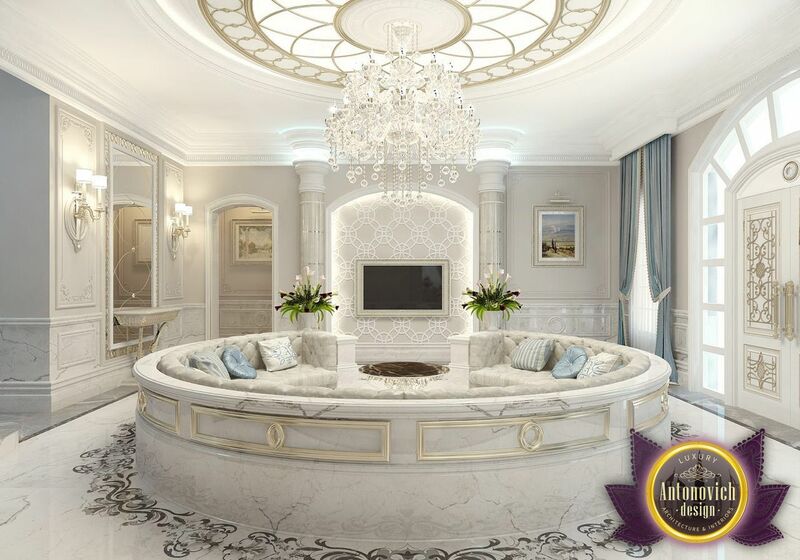 The interior is a perfect every detail. On the ceiling in the center of stained glass is poured glare crystal chandelier. Elaborate swirls of patterns on the marble elegantly repeated in the stucco decoration of the walls. Everything shines with beauty and tenderness. This particular comfort emotions of happiness and warmth of home comfort by the talented designer.